Tick Talk » Could this be a practical joke? Today I was working on an Omega Speedmaster with a caliber 1151 inside. That’s the same as an ETA 7751, by the way. As I checked the pallet fork endshake it seemed really large. That’s when I noticed the upper pallet jewel was upside down. That’s right, the oil sink on the jewel was facing the pallet fork. I have to ask myself, is somebody playing a practical joke here. This is the kind of things professors in watchmaking school used to do to us. I don’t imagine a watch could leave the factory like that, could it? I of course corrected the problem and the watch is running very well. By the way, I like the ETA 7750 series. It’s not beautiful or elegant but it is a robust and functional automatic chronograph which always seems to perform very well. It amazes me how inexpensively you can pick one up. A kit online is about $550 to assemble one yourself (prices probably rising). You can get one in a Swiss Army for just under $1000. Lots of other inexpensive brands use them as well. I’m sure you can get a great deal for one on the secondary market. Hopefully ETA will continue supplying parts as they are currently because they are a great watch to service. This entry was written by J.Peter and posted on March 28, 2008 at 7:52 pm and filed under watchmaking. Bookmark the permalink. Follow any comments here with the RSS feed for this post. Post a comment or leave a trackback: Trackback URL. I wonder how common that is, exactly. It is remarkable that you caught it. Was it visual inspection, or a functional problem, that gave it away? I have a somewhat unrelated question which I hope is appropriate to post here. If not, please guide me as appropriate. The question is, would you or would you not expect to be able to see confirming evidence of a CLA type service through a sapphire case back? Here’s the setup: A piece I received back recently from a lengthy trip to an authorized service center has the same problem it had when it left: it stops, especially but not exclusively at the chronograph minute rollover, even when fully wound by hand. It’s 7750-based. I have photographs through the display back before and after this service, and observe that every screw is in precisely the same orientation it was before. There is no evidence of toolmarks in any of the bluing even at 10x. And the fine regulator is still laid over halfway to the + end as it was when I got the piece, before it left for service. Should I be reassured at the high level of quality and consistency in the workmanship, even though I still have the problem, or concerned that there might be something fishy going on? Best regards and looking forward to your thoughts. I found the problem upon visual inspection after noticing that the pallet fork endshake was too large. As of yet there was no functional problem, but I imagine timing would have been pretty poor with as much endshake as there was. As for your other question. I can’t make an assessment from here as to whether the watch was serviced but here are some pointers. Ideally, there would be no evidence except that there should be more clean oil in the watch then there was previously. All the screw heads being in the same alignment is highly unlikely, although I have never thought to make such a comparison. I imagine this would require returning all the screws to the same holes they came out of and then tightening them to the exact same torque. It certainly wouldn’t be impossible. 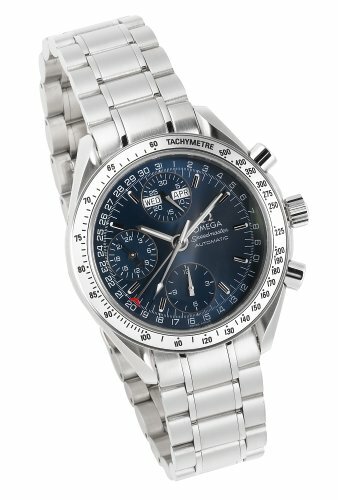 As for the chronograph stopping when the minute goes to rollover, that is somewhat odd. The finger would have to be way out of adjustment to cause that because it is a flexible spring in the 7750, it could be a result of too much or too little endshake on the minute counter wheel resulting in that portion of the gear train locking up. I imagine the watchmaker detailed enough to return the screws to exactly the same position would thoroughly check the function of each portion of the watch and let it run for 48 hours with the chronograph on and 48 hours with the chronograph off to test timing.